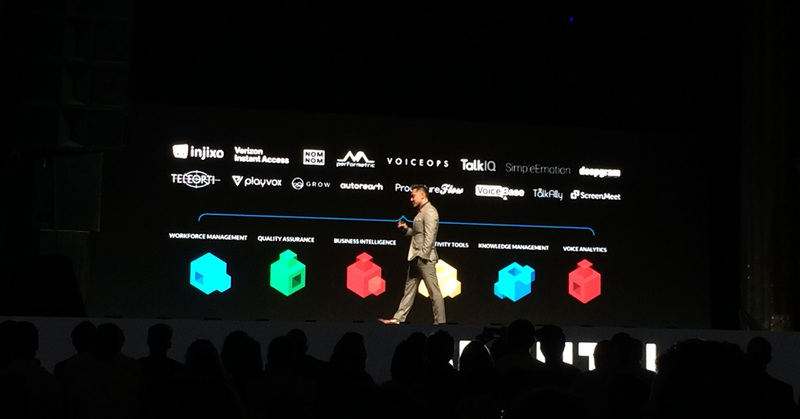 Photo Credit: Jeremy Watkin – Talkdesk Head of Platform, Robert Sur showing some of the exciting apps available in AppConnect. I had the privilege this week of attending the 2017 Opentalk Summit by Talkdesk in San Francisco. The two-day event featured some exciting updates about the Talkdesk platform, glimpses of emerging customer service technologies, and insights from industry experts. Rather than overwhelming you with a huge recap, here are my top nine insights from the week. Talkdesk AppConnect- Talkdesk CEO Tiago Paiva and COO Gadi Shamia unveiled the first ever enterprise app store called AppConnect. Apps in the store can be enabled with a single click and feature a free trial. Even better, they offer a wide variety of solutions including workforce management, caller analytics, quality assurance, and more. FTP call recordings- Talkdesk now has the ability to send call recordings via FTP to a server at the request of their clients. This is a great feature for securely accessing your call recordings. SMS vs IVR survey- I also learned that Talkdesk users now have the ability to survey customers post-call via SMS (text message). This means that after a call is complete, customers receive an SMS message encouraging them to complete a survey. They’ve seen response rates upwards of 30% compared to 5% or less for IVR surveys. Tomasz Tunguz shares how to find proxy metrics to achieve goals. 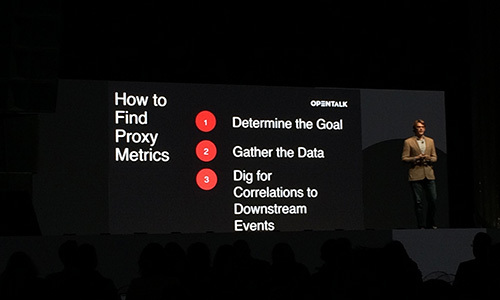 Pay attention to Proxy Metrics- Tomasz Tunguz presented a concept from his new book, Winning With Data called “Proxy Metrics.” This involves looking at a goal, like customer satisfaction, and finding unusual metrics that indicate whether or not you’re achieving that goal. For example, he talked about a restaurant that found that the number of full water glasses correlated with satisfied customers and they tracked that as a metric. Read NPS promoter comments- Lorraine Schumacher from Clarabridge shared that as they were looking through their NPS survey results, they found that their promoters (people who mark 9 or 10) actually often gave feedback about improving the product. It’s a great reminder that just because someone is a promoter, doesn’t mean they’re totally happy. Cool technologies to see- SimpleEmotion (Machine Learning/Analytics), TalkIQ (Caller Analytics/AI), Front (Email Support), Teleopti (Workforce Management), AutoReach (Power Dialer), and Solvvy (Self-help) were a few technologies that showed really well at the conference and I plan on taking a deeper dive in the coming weeks. Also, they weren’t at the conference but I heard significant buzz about the new customer engagement platform, Kustomer. Proactive support- Todd Enders from Salesforce shared about a company with an IOT (Internet of Things) device that tracks the fail rate on customer devices and sends out replacements before customers even notice they’re failing. This is proactive service and a great example of what a good CRM configuration can do for you. Gig Economy- Josh Constine of TechCrunch interviewed a couple key companies in the gig economy and focused a lot on the current state of independent contractors. These workers play an essential role in the success of a number of companies so a future where these employees receive the benefits of W2 workers is really important. Also, what does the future look like for these people when self-driving cars and robots that deliver food hit the scene? These interviews were some of the most compelling (and entertaining) of the conference. Twilio CEO Jeff Lawson during his fireside chat. Strategy is a dirty word- The fireside chat with Jeff Lawson, Cofounder and CEO of Twilio was fantastic. In his talk he said, “Strategy is a dirty word.” What he meant was that some organizations become so enamored with their strategy that they forget to listen to their customers and deliver the product or service customers want. Obviously strategy is important but listening to customers is also really important if you want to have customers. 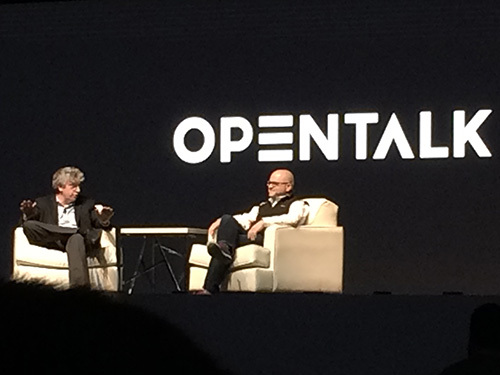 Overall Opentalk was a fantastic and worthwhile couple days. For more insights, be sure to check out the #OpenTalk17 hashtag on Twitter. If you were there, what were your favorite insights? If you weren’t, I hope to see you there next year! Jeremy Watkin is the Head of Quality at FCR. He has more than 15 years of experience as a customer service professional. 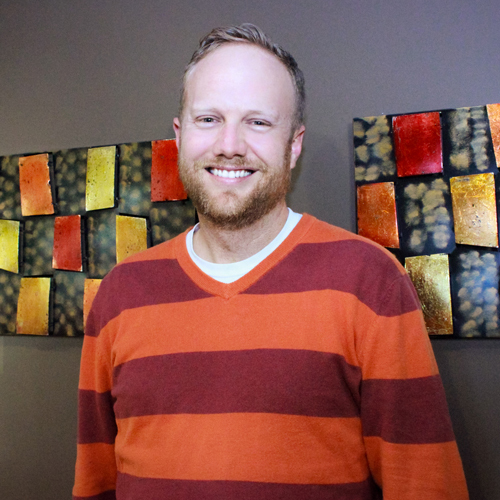 He is also the co-founder and regular contributor on Communicate Better Blog. Jeremy has been recognized many times for his thought leadership. Follow him on Twitter and LinkedIn for more awesome customer service and experience insights.